Special Containment Procedures: SCP-XXXX requires no special containment procedures. It may be kept in a standard wooden box, 120cm3, and can be freely transported by any level 2 or higher personnel. Description: SCP-XXXX is, at first sight, an ordinary lamp, approximately 40cm tall and 15cm wide. It was reported by █████ ███████, a 43 year old female, who filed a complaint that her lamp, purchased from ████, was "acting up a tad". The lamp was retrieved by Agent █████ for testing. The lamp, here-on known as the Subject, does not function normally. When any electrical current comes into contact with any part of the Subject, it emits an energy that we informally refer to a Negative Light. This energy act in the opposite way to light, as the name suggests. Any surface that Negative Light "de-shines" upon, will be drained of its light as if a shadow were being cast. 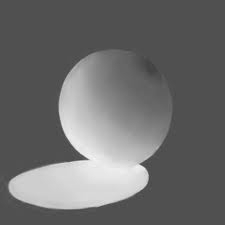 The brightness of this Negative Light is determined in the same way as light, and blocking it will result in "Negative Shadows". When cast, Negative Shadows will light up the surface that it is cast upon.